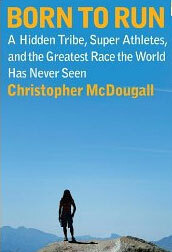 A friend recommended the book Born To Run by Christopher McDougall. This book inspired me to give barefoot running another try. In the following I like to share what I learned from this book, from various articles on the Internet and my personal experience with barefoot running. Book Description: Born To Run is an epic adventure that began with one simple question: Why does my foot hurt? In search of an answer, Christopher McDougall sets off to find a tribe of the world’s greatest distance runners and learn their secrets, and in the process shows us that everything we thought we knew about running is wrong. It’s a great read, but also very eye opening concerning the running shoe industry. The book is mainly about the Tarahumara – a hidden tribe of Mexicans living in the Copper Canyon region of Mexico. The Tarahumara are legendary for their ability to run extreme distances in inhospitable conditions without breaking a sweat or getting injured. They are superathletes whose running method would place them among elite runners of the developed world even though their society and technology are 500 years behind it. They often live in caves without running water, and run with only strips of old tire or leather thongs strapped to the bottom of their feet. They are virtually barefoot. Tarahumara running is based on endurance not speed. This fact is exemplified by their hunting practices. In order to catch such wild animals as deer, wild turkeys, and rabbits, the Tarahumara simply chase after the animal until the animal drops from exhaustion. Their hunting practices are widely known in Mexico and ranchers have been known to hire the indians to chase down wild horses . After reading this book it was obvious to me that during my first barefoot running attempt I made every mistake possible: Too wide strides, too long distances to start with and not changing my running style at all. To successfully accommodate to barefoot running it was important for me to learn how barefoot running is different from running in my thickly cushioned trainers. As funny as it sounds but most barefoot runners use minimalist footwear – so called barefoot running shoes. Those shoes are designed to remove the cushioning and motion control of traditional running shoes. In this way your feet is able to strengthen and feel the ground more while still giving you the protection against getting cut on the soles of your feet. Some of these barefoot running shoes look even more technical and advanced than regular running shoes. Start slowly: Do quarter-mile runs at most, and build up gradually. Keep barefoot running to no more than 10 percent of your weekly regimen, especially at first. Shorten your steps: Don’t extend your legs as far as you do with shoes. It should feel almost like you’re running in place. Land on the forward part (forefeet or midfeet) of your foot instead of your heels. If you feel yourself landing on your heels, shorten your stride. Be aware: Too much on your forefeet can make your calves sore. Keep upright and balanced. Your feet should be hitting the ground almost directly underneath you, not in front of you. “People who don’t wear shoes when they run have an astonishingly different strike,” said Daniel E. Lieberman, professor of human evolutionary biology at Harvard University and co-author of a paper appearing in the journal Nature. “By landing on the middle or front of the foot, barefoot runners have almost no impact collision, much less than most shod runners generate when they heel-strike. After learning all of this and putting it into practice I successfully accommodated to running in my Vibram FiveFingers. This time I really took it slowly and changed my running style over a period of four weeks. I haven’t yet switched to barefoot running completely but as my feet are getting stronger I am enjoying it more and more. Running barefoot is about connecting with the ground, about feeling, about freedom and lightness and most importantly about having fun.